If you are looking for the best of both worlds, a Station Wagon is perfect for you! You can get a newer wagon with less mileage for much less money than a van. 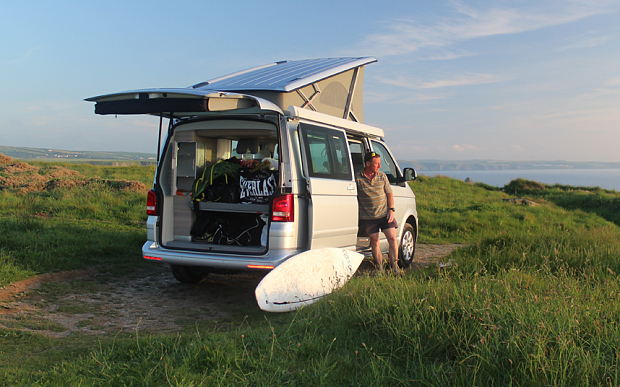 They offer great driving along the narrowest roads AND and always a place to sleep in! Recommended for: Everyone: A couple, 2 or more friends, who look for the opportunity to offer rideshares along their road trip. If you are looking to have plenty of comfort and storage space on your road trip, the van is your solution. It is your flexible home on wheels! 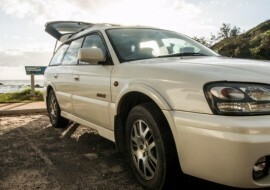 They offer an enjoyable ride with high travel and sleep comfort as well as heaps of storage space for all your belongings and camping equipment. Recommended for: Everyone who loves comfort! A couple or 2 and more friends, who are looking for a comfortable sleeping and living solution in their vehicle. If you are looking for a great Australian Adventure something besides the normal roads and the ultimate driving fun! You can easily climb up challenging mountain roads and a free ride through the desert and always have a place to sleep in the back. Recommended for: An adventures person, a couple or 2 and more good friends, who want to go on unrestricted roads while still having lots of space and look for the opportunity to offer rideshares along their road trip. ©2018 Too Easy Travel. All rights reserved.